People in the age group of 65 years and above can engage themselves in moderate exercises such as walking, cycling to cut their risk of death due to cardiovascular diseases (CVD). 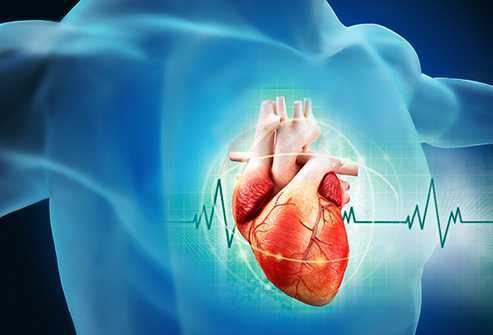 Cardiovascular diseases (CVD) such as heart attack, stroke, coronary heart disease and heart failure are the leading cause of death in both men and women worldwide. The most common reason for CVD is the accumulation of fats in the blood vessels supplying blood to the heart and brain. Heart diseases can be prevented by controlling its risk factors such as smoking, alcohol, obesity, high-fat diet and sedentary lifestyle. The best intervention for cardiovascular disease is physical activity and healthy diet devoid of alcohol and tobacco. Treating cardiovascular diseases with lifestyle changes is considered more effective than medications and conventional treatments. Cardiovascular diseases are more prevalent among older adults. A long-term National FINRISK study conducted from 1997-2007among 2500 elderly people aged 65-74 years found that moderate physical activity can cut cardiovascular death risk by half among them. Participants followed an exercise routine based on their own convenience. It included low activity such as household chores, moderate activity like cycling, walking for at least four hours per week, high activity like jogging, swimming for at least three hours per week. At the end of the study, participants were assessed for cardiovascular death risk. Among 2500 participants, 197 died and 416 had a cardiovascular event such as stroke, cardiac arrest, etc. But individuals who followed moderate and leisure-time physical activity had a reduction of cardiovascular death risk by 30 and 40% respectively. Individuals who followed moderate and high levels of physical activity had greater reduction up to 50 – 60%. Authors concluded that even though following an exercise routine in older ages could be a challenge, elderly people must engage themselves in moderate physical activity to cut heart disease risk and live a longer life. Previous Previous post: Bad News on the new Nexus Phones – Prices to Increase – When Will They be Announced?